Palestinian statehood would “endanger our existence,” Netanyahu told Israel’s Channel 12. Netanyahu said he was talking with the U.S. to ensure that Israeli sovereignty was extended over the large settlement town of Maale Adumim, among others. Netanyahu also told a variety of Israeli outlets, including Channel 13 and the right-wing Makor Rishon and Israel Hayom newspapers, that he would not evacuate a single person from any of the settlements. Trump, he said, “is the best friend Israel has had” in the White House and respects Netanyahu’s red lines. 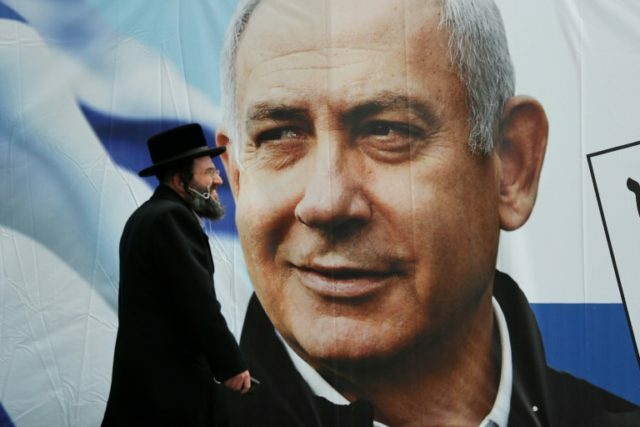 His comments came days ahead of Tuesday’s national elections, and is a last minute bid to persuade right-wing voters to vote for Likud rather than smaller parties in the hopes of making it the largest party in the Knesset and beating out main rival Blue and White. According to Channel 13, Netanyahu believes Trump “would give him backing and legitimization to annex or extend Israeli law to all West Bank settlements or at least some of the blocs” if the Palestinian Authority rejects the as-yet unveiled U.S. peace proposal, as is expected to happen.